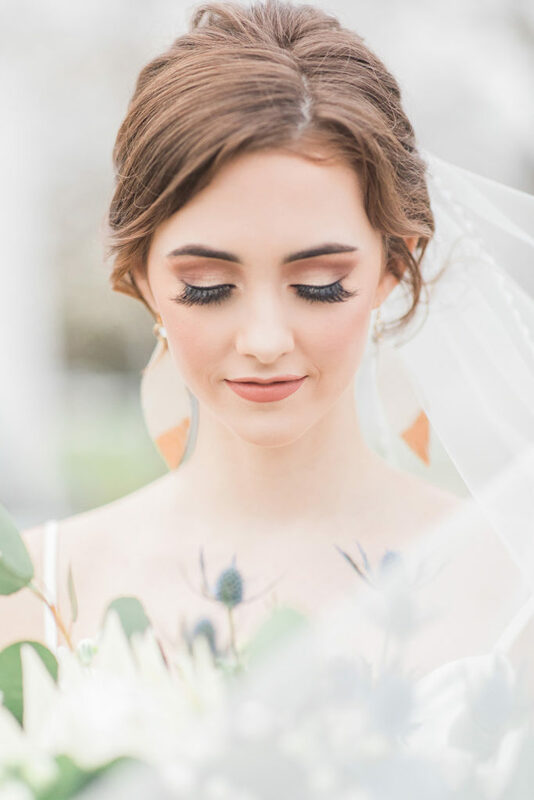 Perfectly in-sync with the season change, we’re so excited to finally share this super sweet styled shoot filled with pretty in pastel spring fling inspiration at The Meekermark! 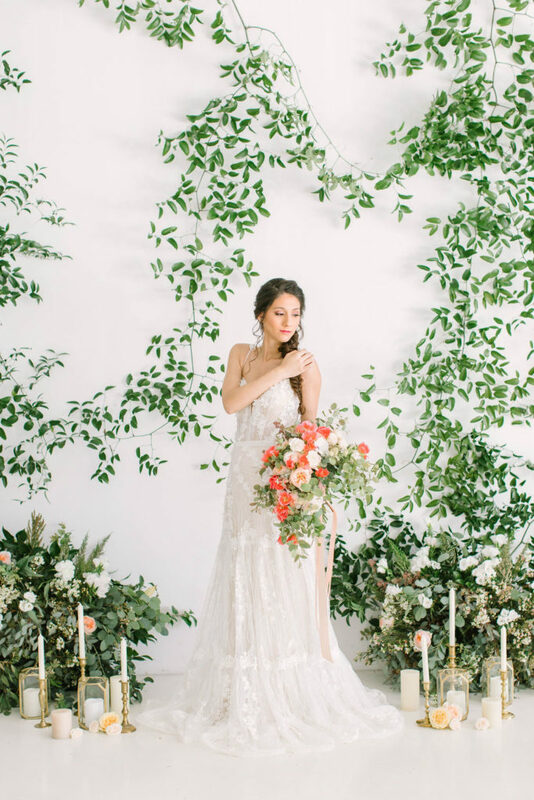 Captured by the talented team at R and M Bledsoe Photography, the crisp white backdrop of the barn set the perfect scene for a shoot filled with delicate pastel hues in shades of blush and peach with tinges of brighter shades of coral and orange. The unique ceremony set-up of the venue added an ultra-contemporary touch with its framed seating area. 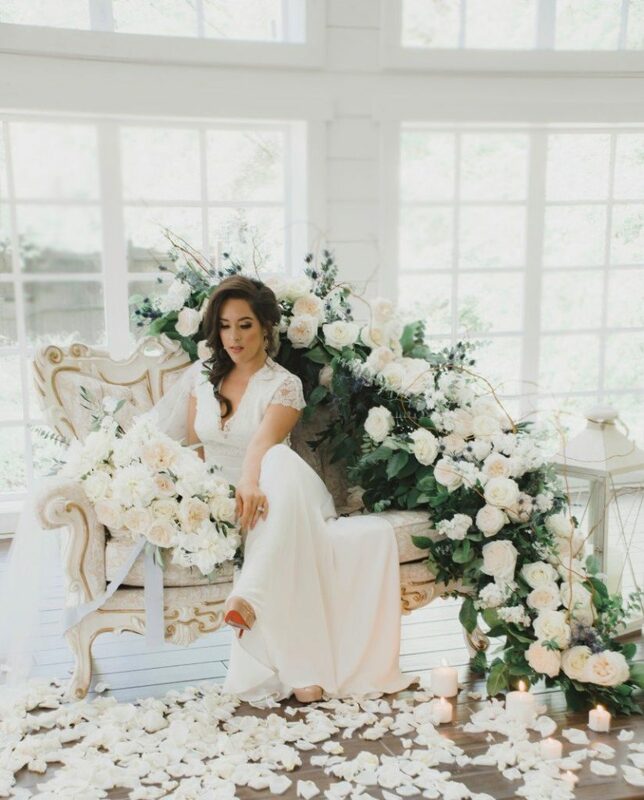 Always Floral crafted arrangements for bouquets, table display and general decor using a mix of cheery roses, fluffy peonies and fresh, springy greenery! 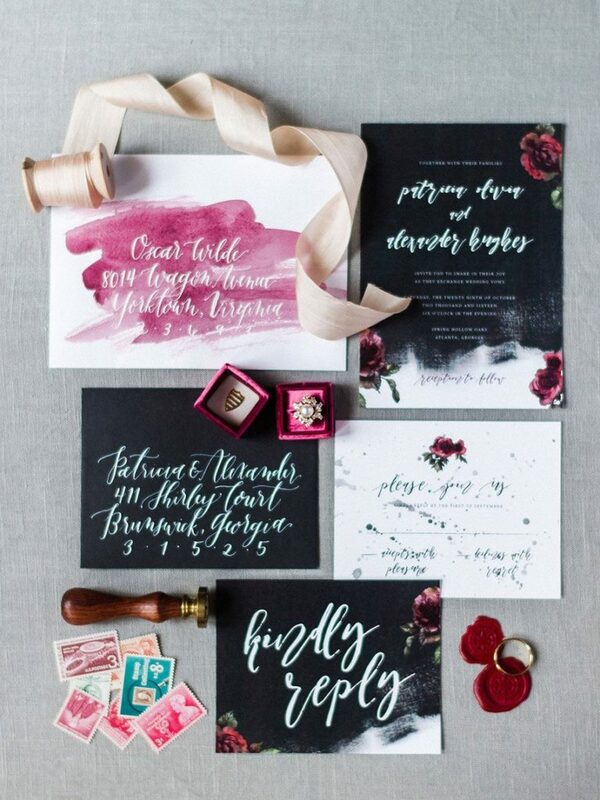 The invites and paper suite from Paper Tie Affair mimicked the soft and delicate floral theme with a soft blush color scheme in a modern tiled aztec-like print. 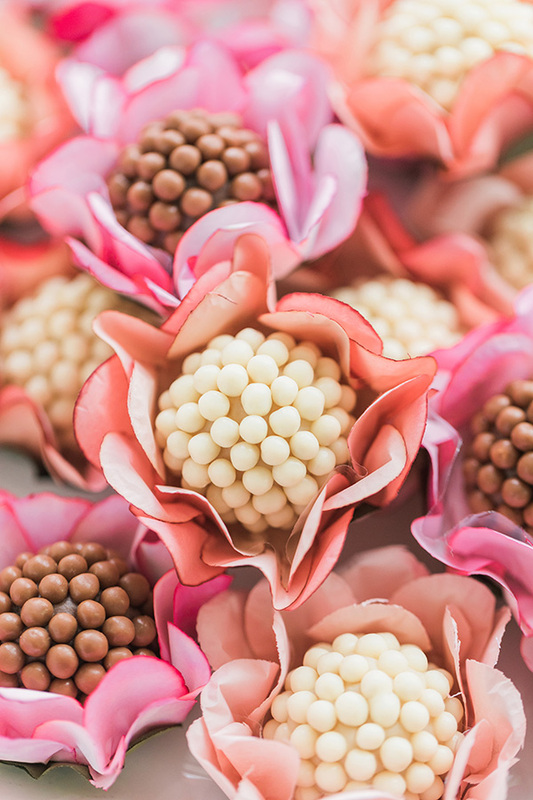 Rather than cake, this styled wedding served delicious sweet treats from Bonjour Brigadeiro in dainty little flower petal cups. 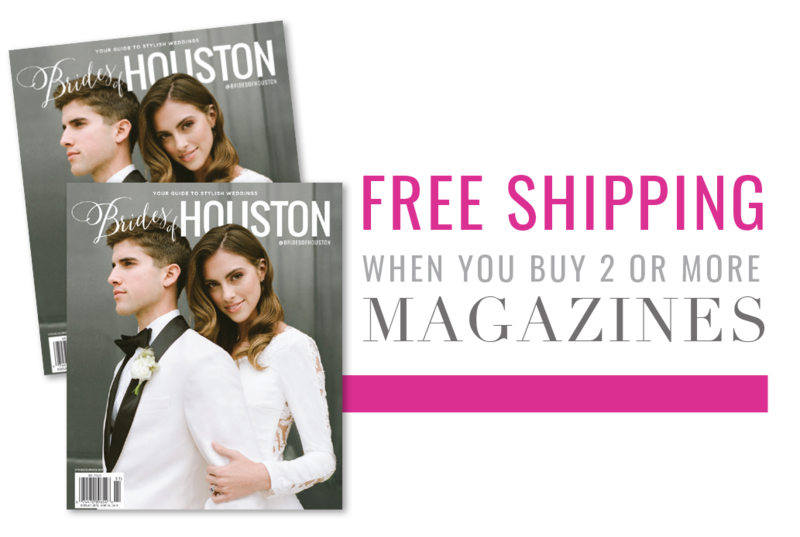 Best of all, the model bride’s gorgeous V-front lace gown from Houston Bridal Gallery added the perfect touch of modern feminine, styled with an ethereal tucked and twisted braid and soft, natural makeup done by Twisted Couture. We can’t get enough! Scroll down for more about The Meekermark and be sure to check out the spread in our new Spring/Summer 2019 issue. Cheers! 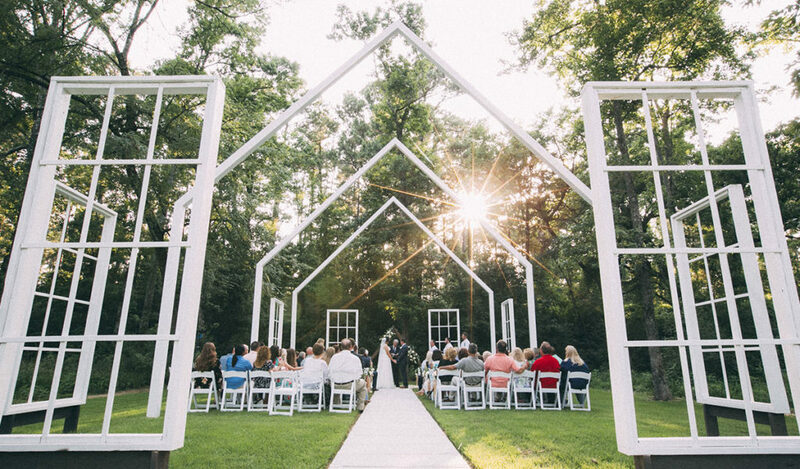 Local Venue Spotlight: Located just outside of Houston in Magnolia, The Meekermark wedding venue has our hearts! 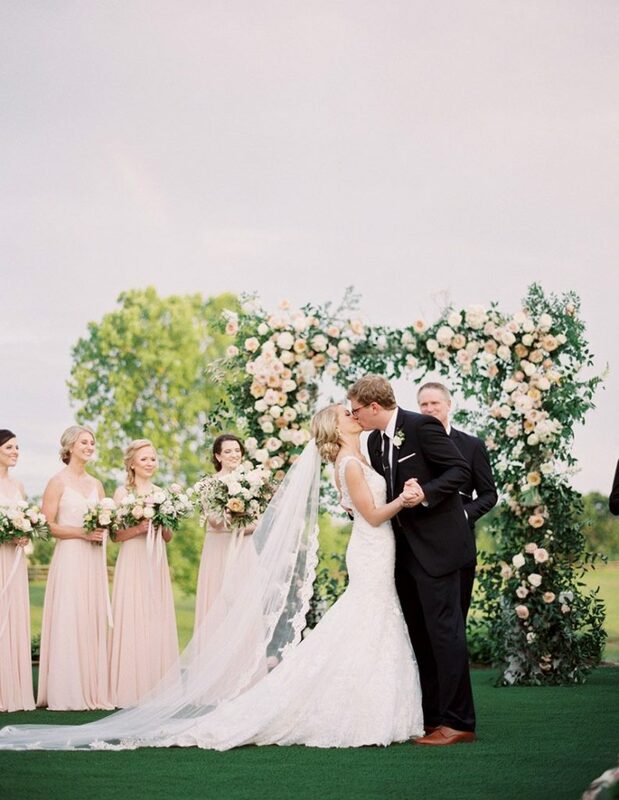 You can say, “I do” in their unique outdoor ceremony space complete with white, vaulted beams and floating windows. With its reconstructed 1830s barn designed by a family of photographers, you’re sure to have a picture-perfect event.